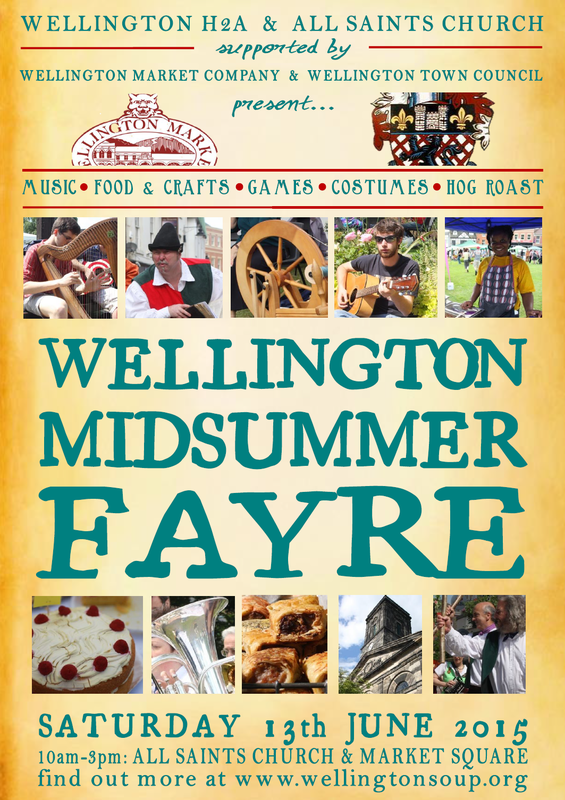 Saturday 13th June will be Midsummer Fayre day in Wellington – and the preparations are in full swing. All the spaces for stalls are now booked (so no more requests please!) and the programme has been finalised – see below. 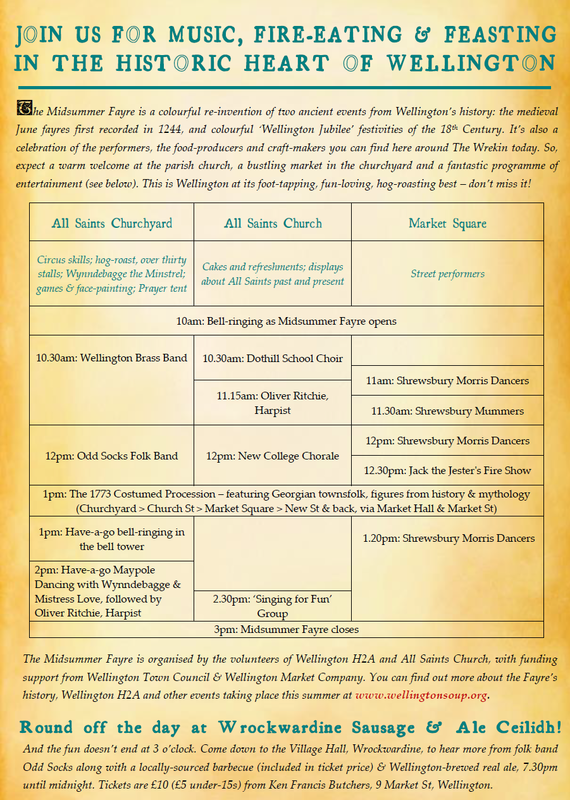 It’ll be the usual historically-inspired mish-mash of brass bands and bell-ringing, feasting and fire-eating, folk music and Morris Dancing, and over 30 food and craft stalls around the churchyard. New this year, we’ll be welcoming the Shrewsbury Mummers who received a warm welcome at Charter Day back in March. The event is a real team effort between the volunteers of H2A and All Saints Church, the town council and the Market Company – and we believe this is one of those days that shows Wellington off at its best.